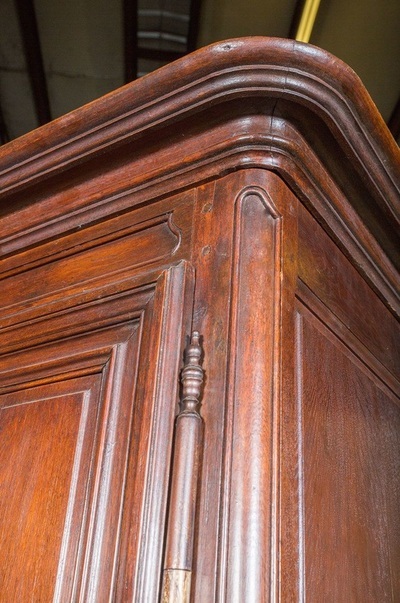 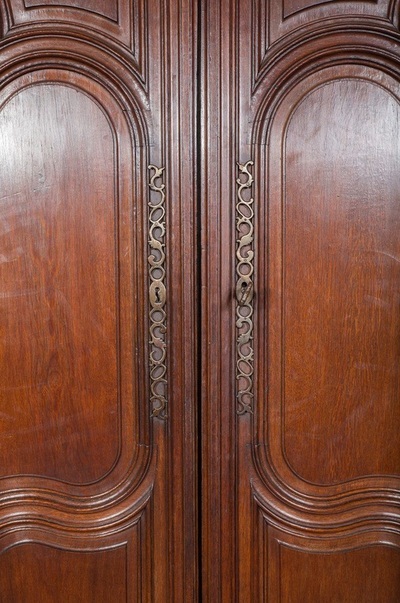 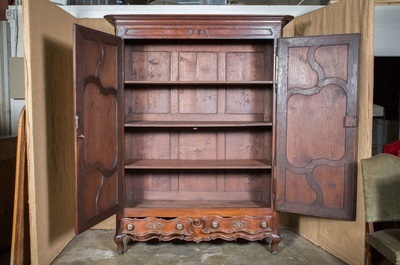 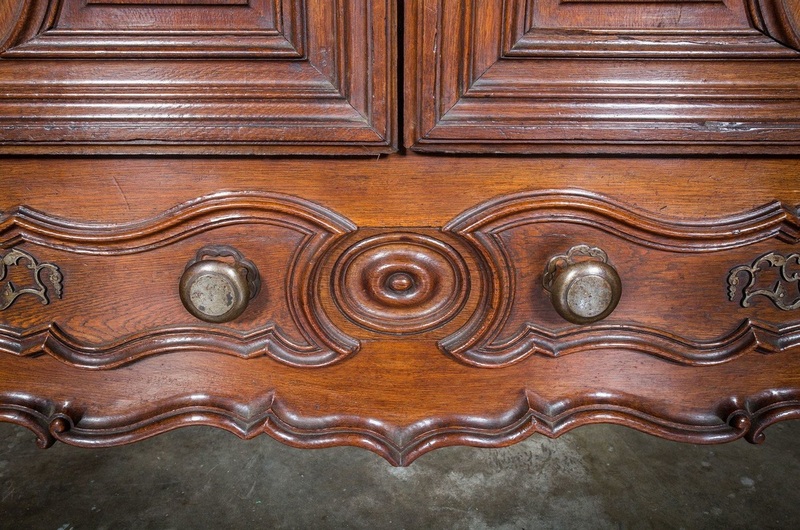 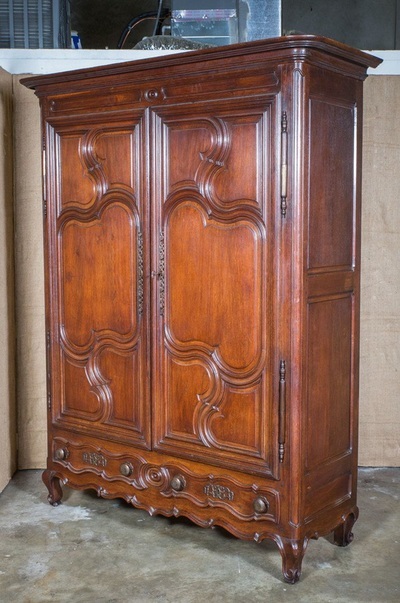 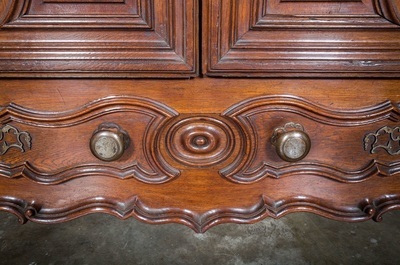 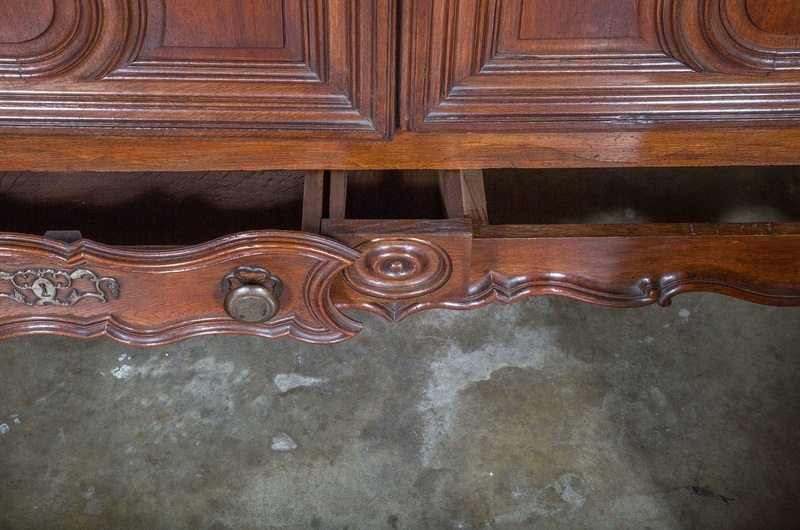 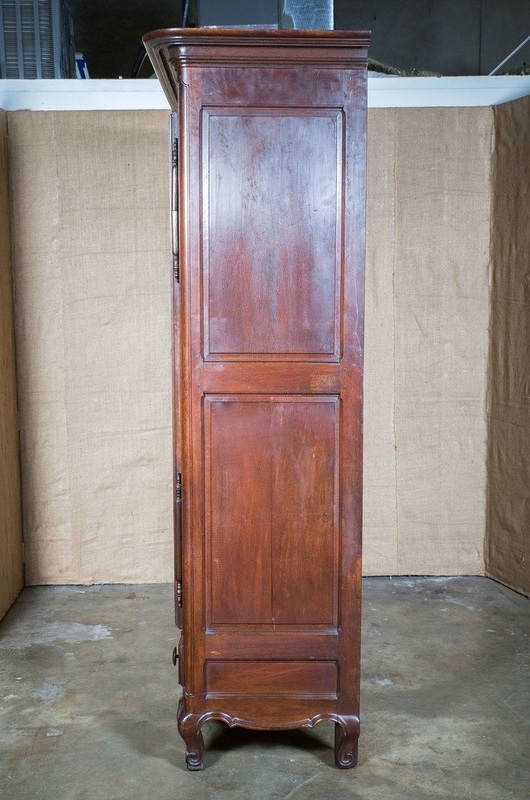 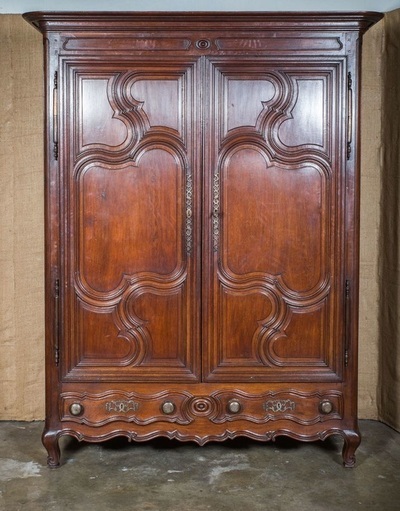 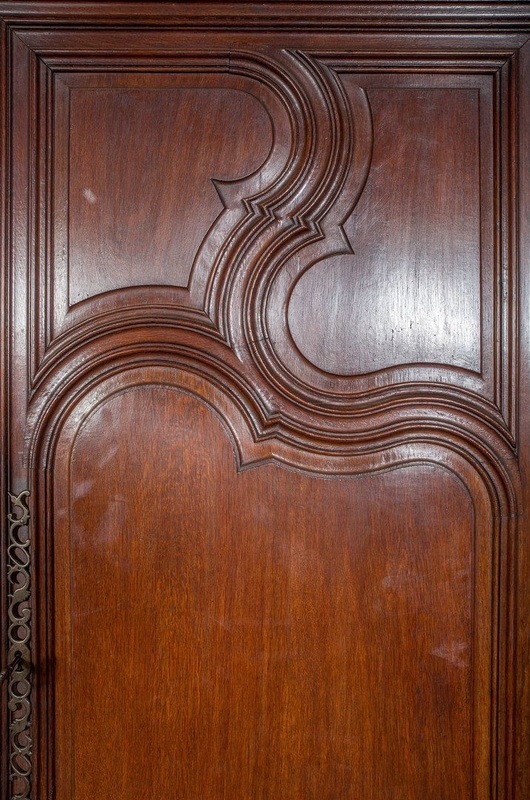 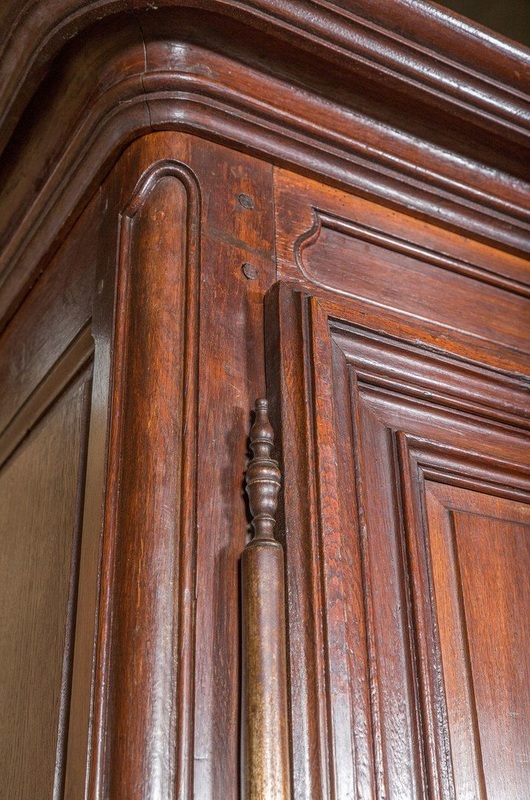 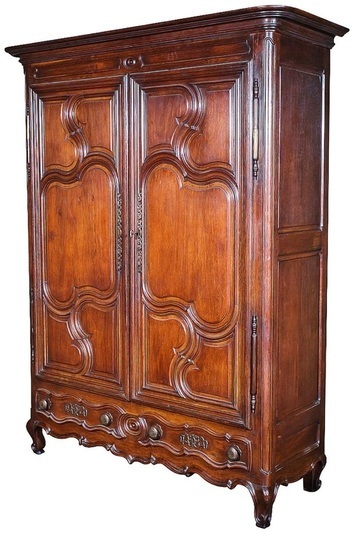 ﻿﻿﻿﻿Lovely Louis XV period armoire hand crafted in oak by skilled artisans from the Lorraine region of northeastern France. Circa late 1700s. 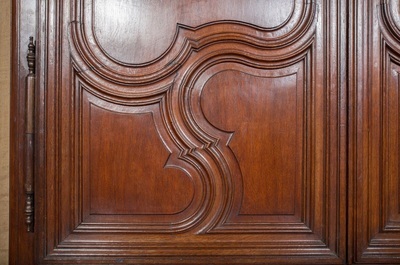 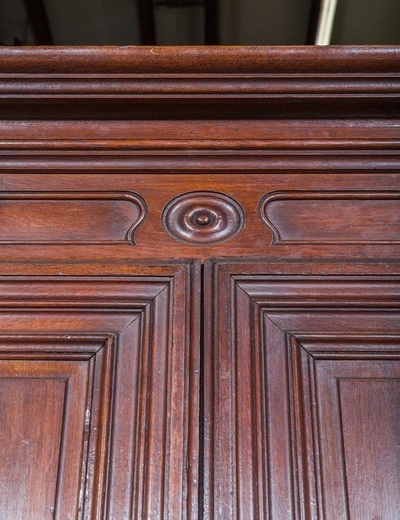 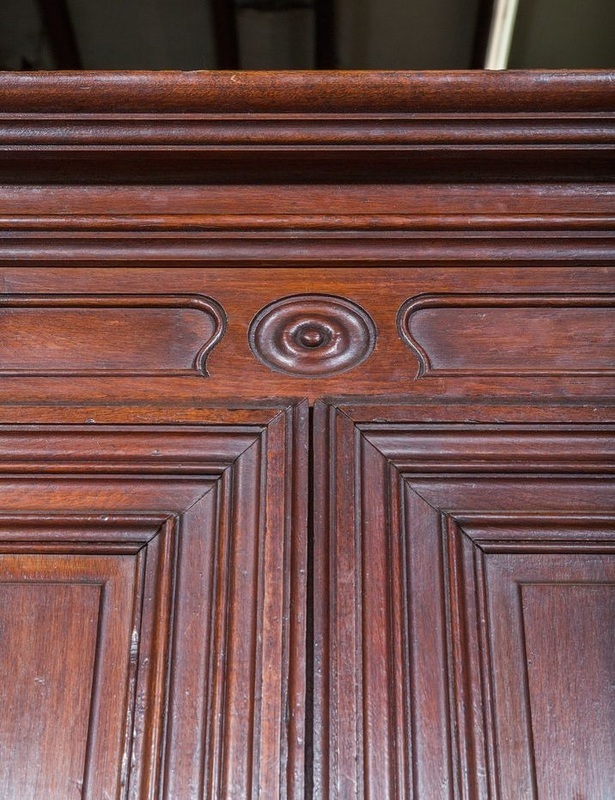 The crown sits atop a carved frieze with center galette above two doors with five moulded panels that are typical to the area. 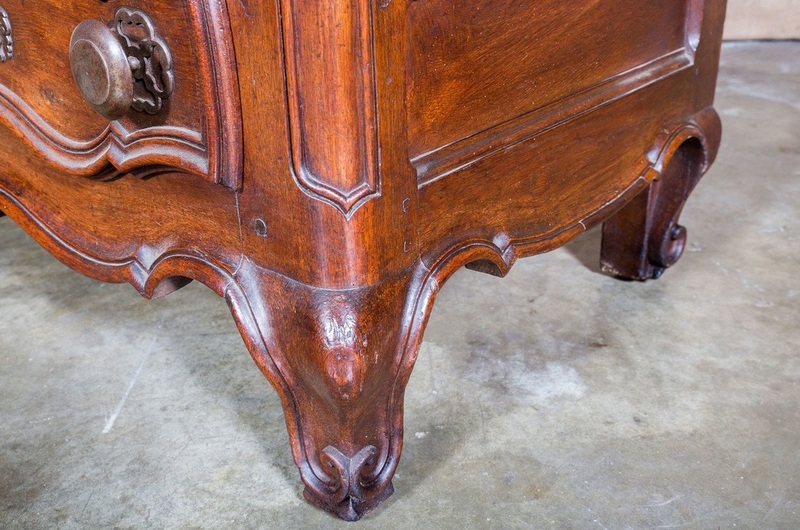 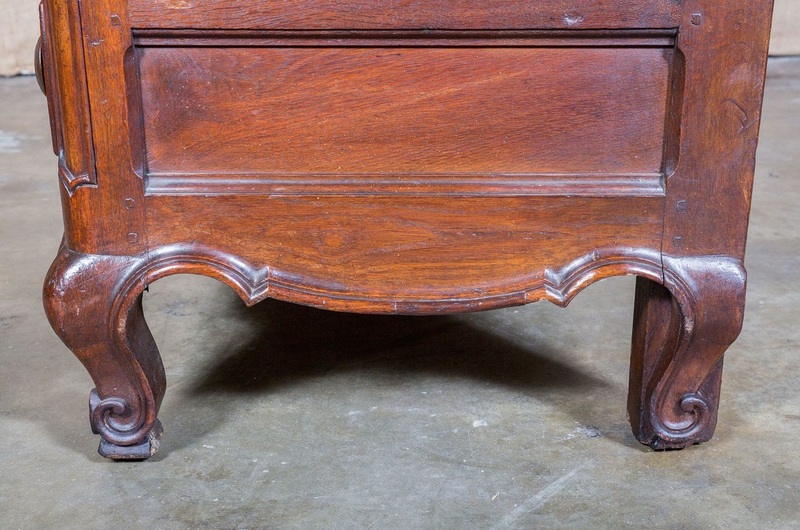 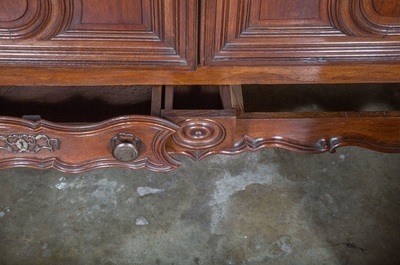 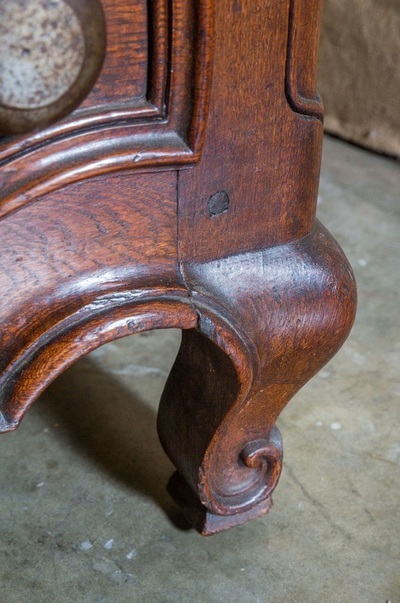 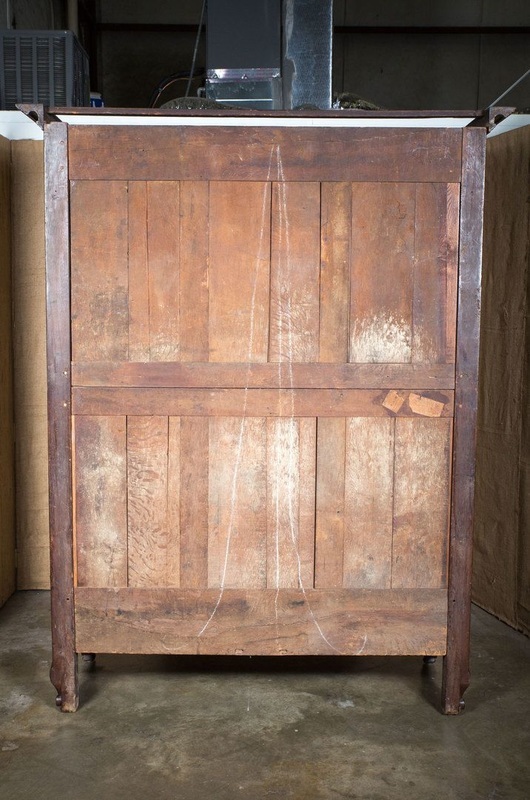 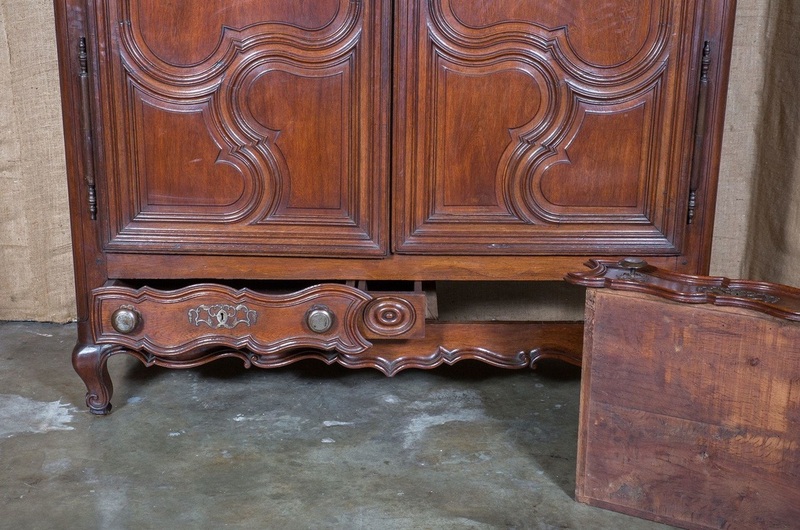 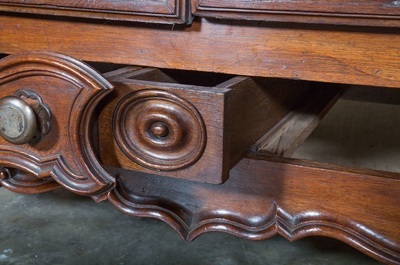 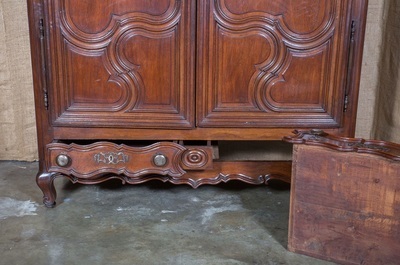 Shaped apron features two outer drawers and a center secret drawer in the shape of a galette that is only accessible by removing one of the other drawers. 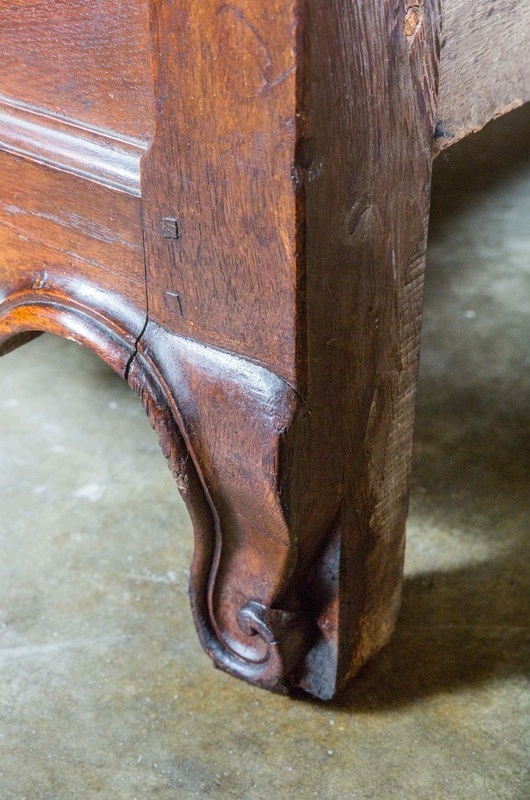 Raised on four short cabriole legs. 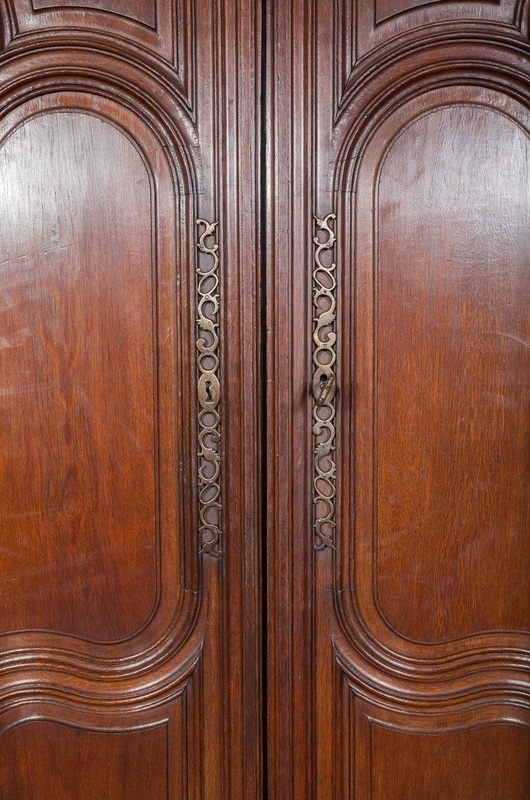 The bold, contoured mouldings with deep relief and the wonderful aged patina give this armoire a grand, yet elegant presence. 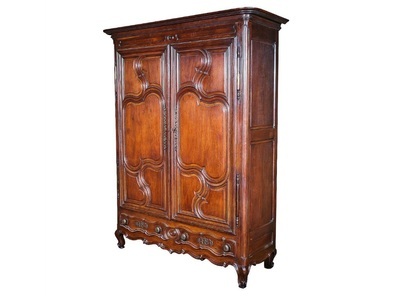 w - 71" with crown; body w - 64"